With over 60 years of combined expertise in the Events and Meeting Planning industry, Planning Factory Bermuda has been a trusted Island resource since 2007. Bermuda companies turn to PFB for strategically designed, well-planned and perfectly executed corporate events and meetings. We know that each client and project is unique, from corporate culture, to business style, to budget. We listen to our clients and design each event or meeting based on defining corporate goals and objectives, often integrating the event into their corporate Marketing plan. We believe in spending EFFECTIVELY. Planning Factory Bermuda delivers Return on Event on every project we take on. Now, that’s effective! 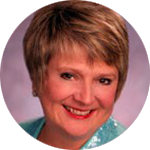 Kathryn began her career in events on the “Client-side” of life. With over 15 years in the corporate Marketing and Event Management field, Kathryn decided to take her passion for delivering world class events and create a company that would “rock” Bermuda’s event world. A creative thinker, Kathryn enjoys the collaboration of the design process, and she provides additional logistical support to her team with her detail- oriented style. Kathryn’s experience in the Bermuda International Business community gives her a comprehensive understanding of the corporate client and their need to achieve goals and objectives when planning important events as part of their strategic marketing plans. It is this philosophy that sets Planning Factory apart and results in events designed to achieve targeted corporate goals through extraordinary experiences. An accountant by trade, Kathryn also works to provide the overall financial, administrative and daily operational management for the company. Director Event Design & Production. Lindsay holds a Bachelor of Science in Human Resources and a minor in Italian from Drexel University. She draws on her education in the industry, the diverse, stylish influences of city life as well as ongoing travel to develop event designs. Her thoughtful designs reflect the appreciation for the personal style of each client’s event, while incorporating cutting edge ideas in aspects of planning that range from cuisine to creating perfect mood enhancing event details. Lindsay is also proficient at Vivien, a 3-D CAD layout program that mimics all elements of a venue. Mike strategically manages the Planning Factory Bermuda warehouse in compliance with company’s policies and vision. He oversees organising, repairing and maintenance operations of our inventory. His tireless efforts ensure that all of our warehouse products are in top shape for your next event! 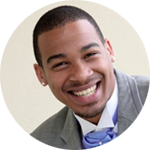 J’Von has been working with Planning Factory Bermuda, in every facet imaginable, for years, learning the idiosyncrasies of the Special Events industry from the inside out. J’Von received his BS from University of Toronto with a Major in Statistics and Minor in Math and Philosophy; his analytical, thoughtful, and creative solutions are reflected his agility to troubleshoot under pressure. J’Von’s tastefully curated talent shines as he makes it his business to build you elegant experiences.